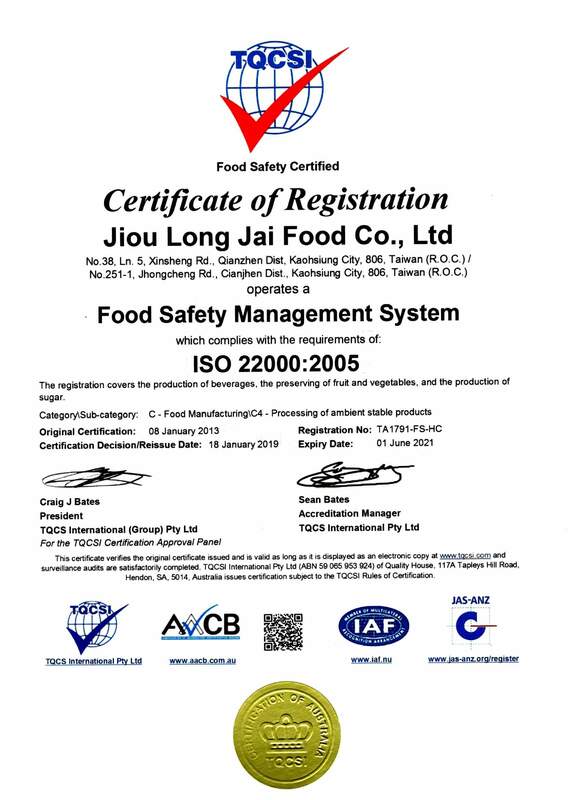 JIOU LONG JAI FOOD CO., LTD was founded at the late Qing Dynasty. Were popular during the Dauguang Emperor. Sold dried fruits, preserved fruits, healthy food and beverage, mulberry juice and leek juice. Also the world famous Sweet-sour plum beverage, Osmanthus with sweet-sour plum beverage. We insist to be professional, we keep our principle just for creating the Chinese world famous beverage. The sweet-sour plum beverage of JIOU LONG JAI was the beverage for nobles at the Qing Dynasty. We experienced a lot and improved technology for creating food with herbs and keep good quality. The most important part of sweet-sour plum beverage is water. Poetry Lu, Yu said, "Drinking water is better than taking lots of medicine." It shows that drinking water is good for healthy and live longer. The water for the sweet-sour plum beverage is the most important part. "The plum is father of the beverage, and the water is mother of the beverage." Choosing the good quality of the water is the most important. A palace graduate at Qing Dynasty said, "The JIOU LONG sweet-sour plum beverage is the best." The words JOU LONG are related to JIOU LONG JAI. The sweet-sour plum beverage of JIOU LONG JAI is the representative brand of all time. During the Guangxu Emperor, there was a book said that, "the sweet-sour plum beverage of JIOU LONG JAI is the best." Our company is trying not to put the antiseptic during making preserved fruits and it could also preserved for a long time. The combination of industry, government and school is for creating other dimension of the biotech products. Promote the brown sugar series, for people who need to have regime lives. We also create many nature food and ferment food, train professional workers, improve quality. Examined our products with JAS professional person technique and procedure. For creating delicious healthy food. Also improve the professional skills for creating nice goods for customers. Our company has many international patents of eastern food therapy, unique technique, extracting technique, fermenting healthy food and functional food. We offer healthy and natural food, organic food and also healthy for the customers. Our products are all natural and healthy food. Exclusive procedure and technique of production. 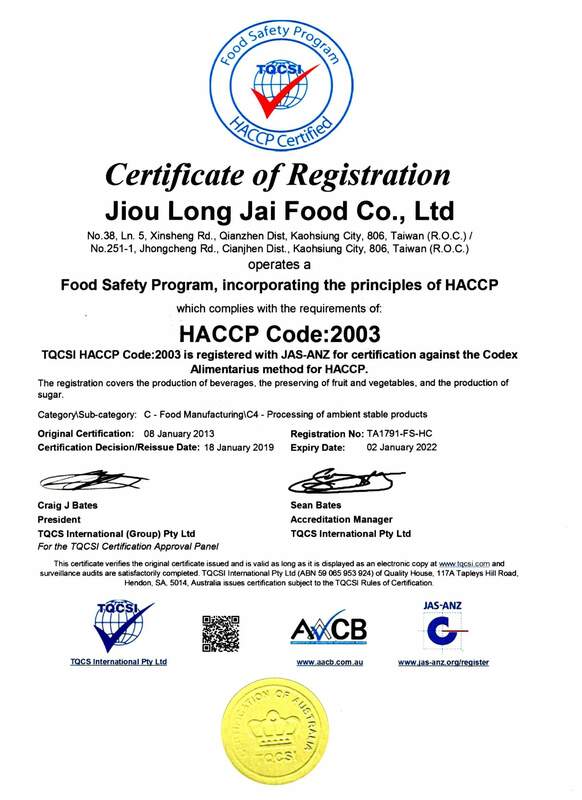 Certificated by international food safety and techniques. Naturally enzyme, without antiseptics and spices. You can eat with health and trust. Exclusive biological technology patent, to save the nutrition of the natural ingredients.